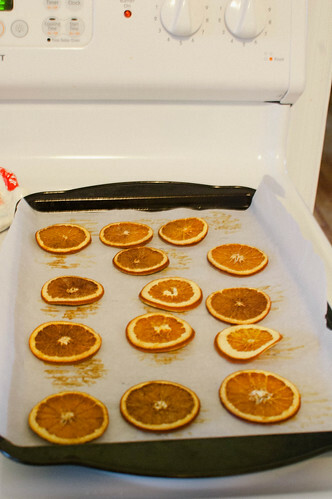 These are both easy projects and if you’ll be home for a day(the longest part is the orange slices cooking for hours, though it doesn’t require “work”) you could knock both out. I’m not even sure that I really need to post instructions for either of these since you can see in the pictures really, but just in case – I will, but keeping it simple. 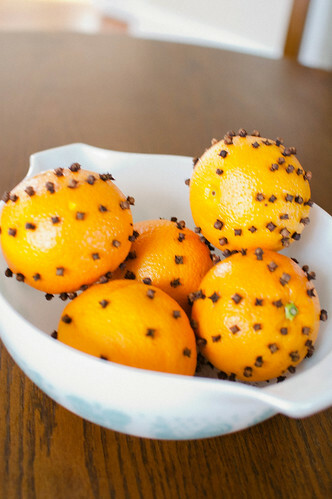 Orange Pomanders: Oranges + Whole cloves. Stick the cloves in all around in any sort of pattern, I have yet to see if they’ll actually dry out and not mold, but I’m going to try! 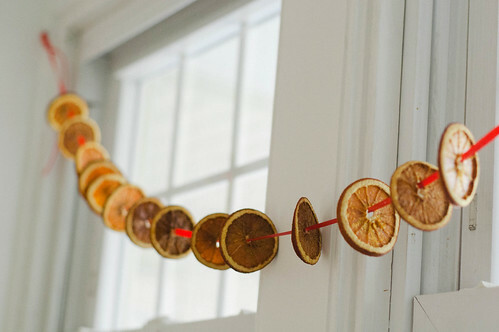 Orange Slice Garland: Stole the idea from here. 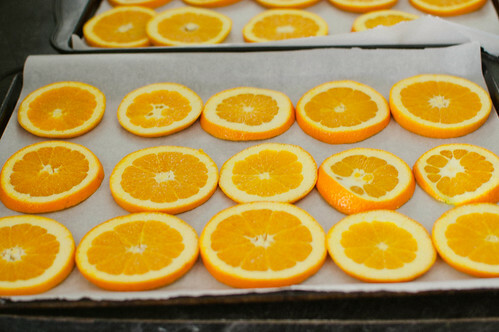 Slice ’em up (evenly, please)(also, save the ends and throw them on the stove with some cloves and cinnamon while you go about your business for the day – you won’t regret it), lay them on a towel to dry a bit, spread them out in a single layer on cookie sheets on parchment paper, bake for hours and hours on the lowest heat possible for your oven. They’re done when they’re almost dry but not burnt. Let them cool and string ’em up! Some of mine are a tad on the burnt side – don’t judge! I don’t discriminate, they still look fun. Use it to your advantage and don’t do the same with yours. I did something similar to the orange garland one year. I had kinda forgotten about it until I saw your post. 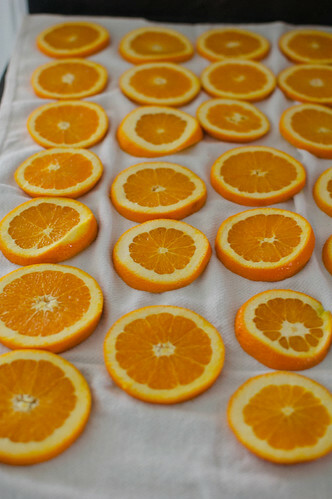 And, I have some oranges I bought that don’t taste too great, seem to be going bad.. This would be the perfect way to use them and not waste them. Thanks for the reminder! Very cute! 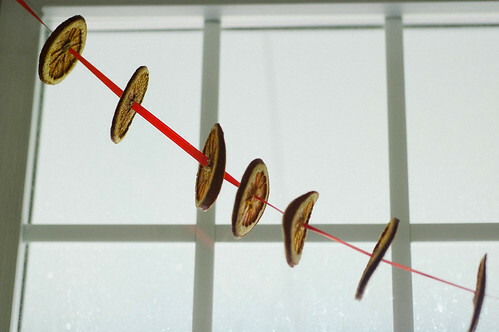 I might try stringing the oranges. I tried the orange pomanders several years ago, but I think it’s just too humid here. They were moldy within a few days. Needless to say I was very disappointed. Both on my holiday to do list with the kids. I pinned your garland too. Very pretty!